Numerology has been around for thousands of years dating back to the biblical times. Studying numbers and their meanings can help us understand our personal life path. Whether you are still looking for Mr or Mrs right or you are happily married discovering how your life path number coincides with your partners can tell you a lot about the relationship. In numerology there are 9 total life path numbers ranging from 1-9. Each number has its own specific meaning and relevance. If you have not already done so, the first thing you will want to do is to determine your personal life path number. Of course each number in Numerology life path has a specific meaning sort of like a horoscope. We have included a brief description of each number below. The Meaning of 1: People who have a number of 1 are usually adventure seekers, like to be on their own, and are leaders. A few negative traits they can be known for are their stubbornness, being rather demanding and not being able to focus on something for an extended period of time. The match that would be best suited for these individuals are people who are numbers 2 and 6. These numbers are more patient and can handle the sporadic nature of the 1. The Meaning of 2: Specific character traits of a 2 are funny, empathetic, caring, and respectful. Number 2’s need to feel appreciated otherwise the relationship will be doomed to fail. The best match for a 2 is usually a 6. The Meaning of 3: Many times 3’s are artists or performers. They are known to be creative, people persons and uplifting. They are often very social and like to be out and about. People who are numbers 1 and 5 are the best for the 3 to start a relationship with. The Meaning of 4: 4’s make the best employees because they are known to be dependable, on time and always get their tasks completed. They are hard-working but can be critical of others which is not good in a relationship. The best partners for a 4 are 2 and 8. The Meaning of 5: 5’s are my personal favorite people to be around because of their fun loving nature and ability to lift others up. They are known to be very outgoing in nature. However, they can be a bit dramatic at times. Possible suitors are a 1 or 7. The Meaning of 6: These people are good mothers, caring, sensitive, and dependable. You can always trust them to be by your side in good times and bad. 6’s can sometimes wear themselves out trying to please everyone at all times. 2’s make a good match for 6’s. The Meaning of 7: These individuals tend to be spontaneous, smart, and have very high standards and expectations for themselves. 7’s tend to date other 7’s or they can look for a 5 for good compatability. The Meaning of 8: We finally come to our example in the birthdate above. 8’s are the type of people you want working for you. However, these types of people usually are very entrepreneurial and achieve their dreams. 2’s and 4’s match up nicely with 8’s and will support them while reaching for their dreams. The Meaning of 9: This life path is giving and sophisticated in nature. They are the type of individuals that would work for a non-profit agency. On the negative side they are very opinionated and self-righteous. 9’s are usually best fit with another 9 because they will understand each other the best. Hopefully this short description of numerology will give you a little insight into the practice. Perhaps it will convince you to delve a little deeper and study the art in more detail. So get out there and start looking for you perfect match! If you are willing to become a constructor and yet don’t know how to get started, we discuss how to get your California Contractor’s License. This is a not particularly difficult occupation, but like every other profession, only hard work is your way to the top. Quote and Shop for your bond with a reputable contractor bond company like Contractor Bond – California Contractors License Bonds for $65. A few standards are set by the CSLB, and you need to achieve those to get the California Contractor’s License. To do that, you need to consider the following points. For a completed technical training or apprenticeship, request credit for the four-year requirement. There is no basic minimum educational requirement to sit for this exam. But if you have any contractor based course or apprenticeship previously, you can easily ask for the credit towards the end of the four-year course. You need to pass the California State Contractor’s Exam, and you must have four years of experience to do that. The different experience level can decide whether you become a contractor, foreman, journeyman or an owner-builder. Experience should be verified. Some of the sources you can efficiently use are real estate agents, a client for whom you have completed any project successfully, your employer, building inspectors and any other qualified contractor. The source will need to fill up a part of your application form. Then only your application will be accepted, and you can sit for the state level exam. Application for the original contractor’s license can be downloaded online. You can easily download and print the needed forms from the CSLB website. It includes the main application for the certification exam. Once printed, carefully fill out the form as inaccurate information or incomplete forms will be rejected or at least delayed in processing. Also, this is a costly exam. It costs you around $300 to sit for the exams so do not lose money due to carelessness. Prepare well for the test. The contractor license exam is not a difficult one, and you can pass it on the first go but only if you prepare well. To pass and be a professional contractor, consider taking online courses on contractor license exam. You can check out California contractor exam prep courses for this purpose. Detailed preparation can help you to enhance your knowledge and concluded. As you take the mock tests, you can quickly prepare for the exam scenario. There are different specializations which you can pursue during the course. The state of California has no less than forty-three different options for you while you are taking the course. After getting the license, most people prefer to become a general engineering contractor or a general building contractor. You may be required to purchase a bid bond for specific projects in the future. These designations can be further honed by becoming a niche expert. Among the forty-three different choices, some of the popular choices are Concrete Contractor, Landscaping & Electrical Contractor, Masonry, Pipeline, and Roofing Contractor. There are of course many more specializations to choose from. We wish you best of luck as you start your career in this field. A career in construction can be prosperous if sincerity and hard work are blended in perfectly. When you start your own business, your financial gain inflates as well. You have probably heard more than one horror story about a contractor not showing up to finish the job or doing sloppy work. Sometimes the story is a little different and the project went way over budget and took far too long to complete. It makes you apprehensive about hiring a contractor for your project doesn’t it? There is a solution to this, you can insist on a performance bond. Let’s look at why a performance bond is necessary for your project and how it can protect you. Let’s start by defining what a performance bond is. These bonds are issued by an insurance company between you and the contractor they ensure that the contractor will fulfill the duties outlined in the contract. If for example you hire a contractor to build your dream home, you want to make sure that the money you pay up front goes to the cost of building the house and not the contractor’s next vacation. Here is a closer look at what performance bonds are. What’s involved in a performance bond? 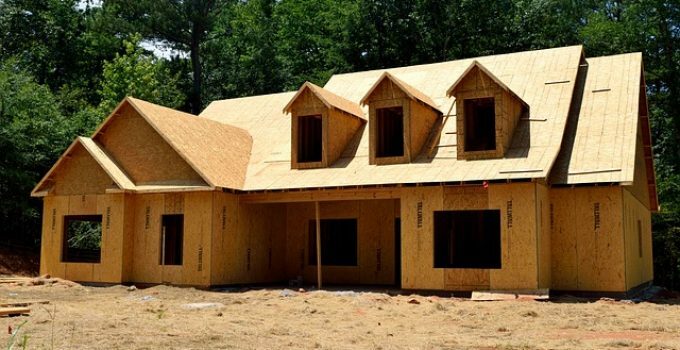 Following the house building example, once you reach a tentative agreement with a contractor to build your home they would contact an insurance company to get a performance bond. How much they pay for the bond will depend on the overall cost of the project and the reputation of the builder itself. Is your contractor a straight shooter who has a good reputation for getting things done? Has he been taken to court before because of inferior work? All of those things will determine the cost and whether he can get a performance bond. At the end of the day either the contractor will complete the job according to the terms of the contract or he won’t. If your house gets built on time and according to specs the contractor gets paid and everyone goes home happy, but when that doesn’t happen performance bonds give you some recourse. Should the project take too long, and we’re not talking about a day or two but weeks too long , or the contractor runs out of money and can’t complete the job you can go after the surety company. Because of having the performance bond in place you can recover your costs and expenses. Is it really necessary to insist on a performance bond? That really depends on the scope of the project. If you are having your dream home built and investing your life savings, then yes, make sure you protect yourself. For small projects or working with a contractor that you’ve known for years, you can probably bypass the performance bond process. Remember it is always better to be safe than sorry!